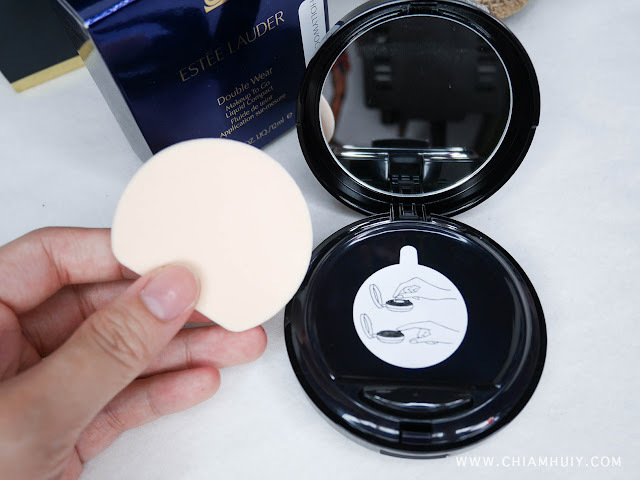 You might wonder why does my Estee Lauder Double Wear Makeup To Go Liquid Compact come in such a beautify hand-drawn illustration? 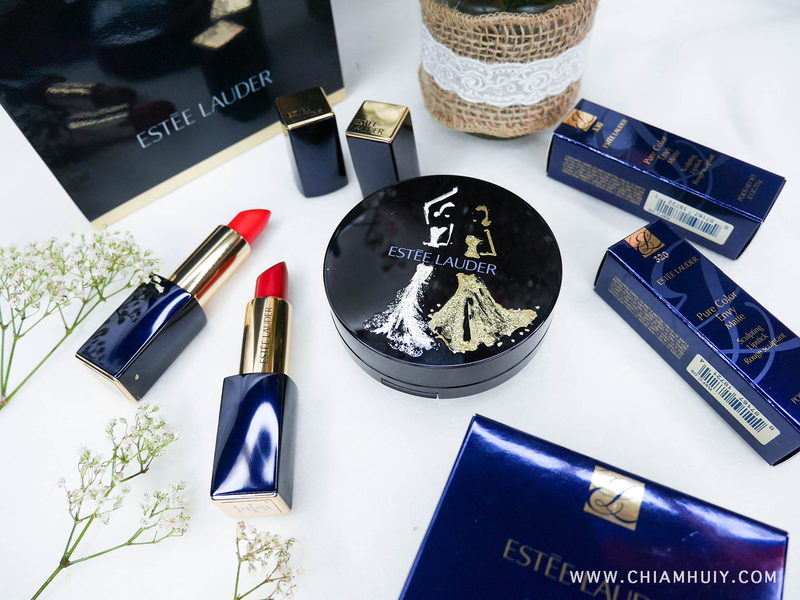 This is in collaboration with Singapore fashion illustrator Grace Ciao where she hand-drawn 50 limited edition pieces for Estee Lauder's fans! On the inside, you'll find a button to dispense the right amount of liquid foundation to your liking. This invention is so perfect to prevent untidy mess, perfect for those who work in a very fast-paced lifestyle, like myself. 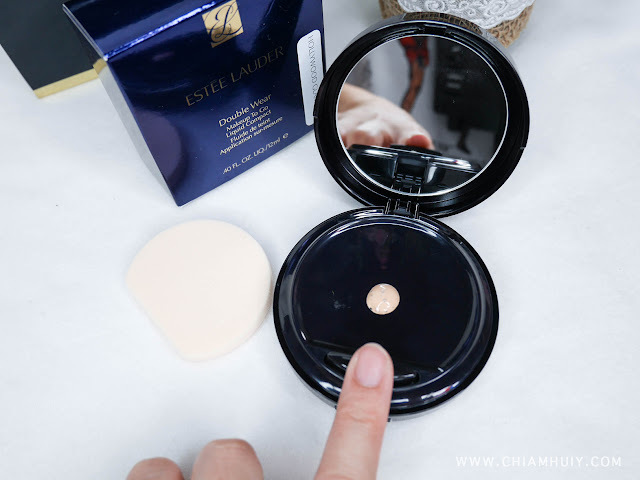 As for the liquid foundation packed in this liquid compact, it's actually a different formula than the original Double Wear Stay-in-Place Liquid Foundation. With its intense tri-moisture complex, it can leave your skin looking smooth and natural. It actually promises 8 hour long moisture and coverage too. Apply one layer for a light touch up or two layers for a better coverage. I'm using shade #1W2 Sand which is quite common among Singaporean ladies. Nonetheless, I'm sure you can find the perfect shade from the 20 shades available. I like that this perfect coverage liquid foundation now comes in a compact form, so I can skip all those blending brushes and messy aftermath! 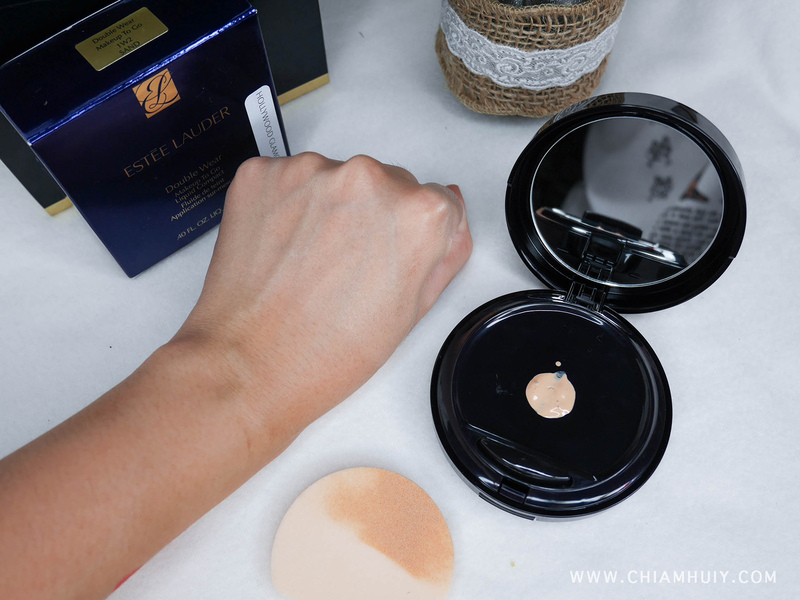 What more can I expect when I know this liquid compact is a better formulation than its previous liquid foundation? 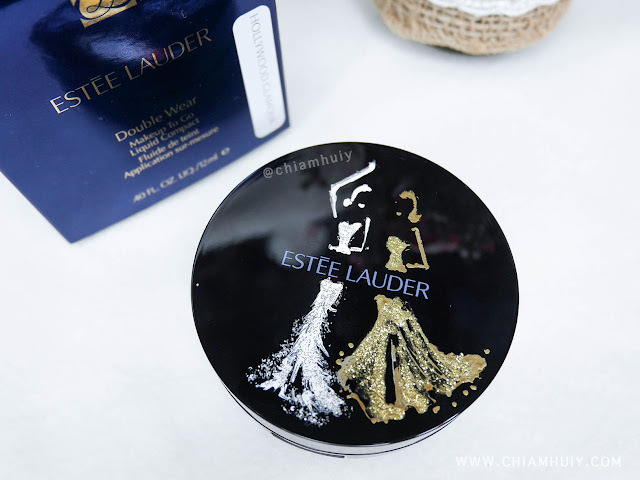 It gives a very smooth finishing and helps to brighten up my skin. The only down side is that this compact can't be refilled. Estee Lauder Double Wear Makeup To Go Liquid Compact is now retailing at $68 at all Estee Lauder cosmetic counters and stores.